Hands down, Australia’s Fraser Island is one of the most diverse, interesting places we’ve ever visited. In our three days on Fraser Island, we packed in enough sights to last a month. When you think of Australia, what comes to mind? Probably the Outback, Ayer’s Rock (Uluru), the Great Barrier Reef, the Sidney Opera House, Bondi Beach, and maybe, maybe Kakadu. But Fraser Island, perched off the eastern coast of Australia, likely isn’t one of the first things that comes to mind. Fraser Island certainly wasn’t on our radar when we visited Australia, and it was only on the advice of a backpacker that we met in Bundaberg that we decided to make a last minute trip to Fraser Island. Turns out, it was one of the best places we visited in Australia. So what’s so great about Fraser Island? In a sentence? 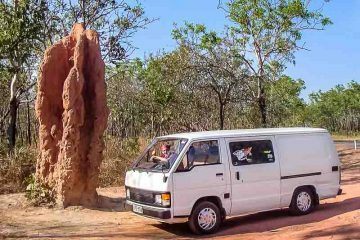 Shipwrecks, airplanes landing on the beach, towering sand cliffs, champagne tidal pools, wild dingoes, migrating humpback wales, a freshwater aquifer, camping on the beach, 4×4 sand tracks, sandy beaches, and a fascinating Aboriginal history. Here’s a overview of all the great things we found to do on Fraser Island. 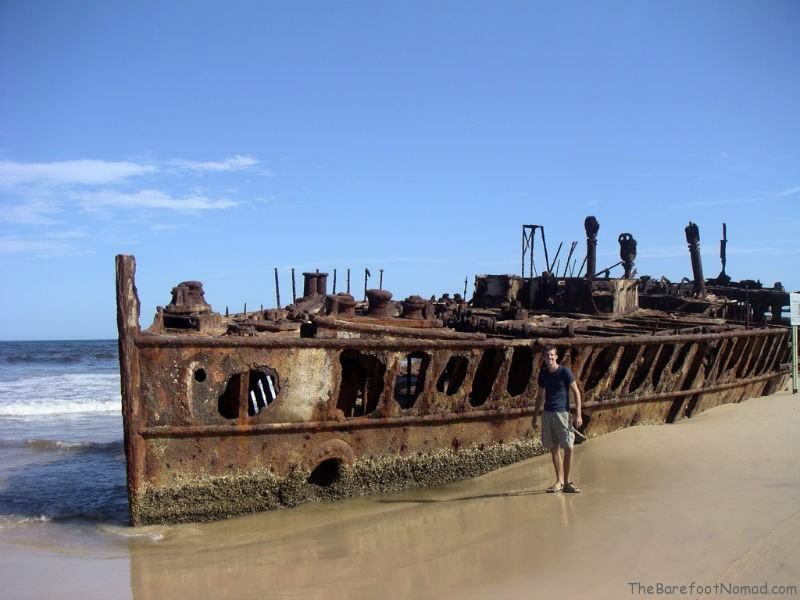 Visit the rusting Maheno shipwreck, beached in a cyclone in 1935. 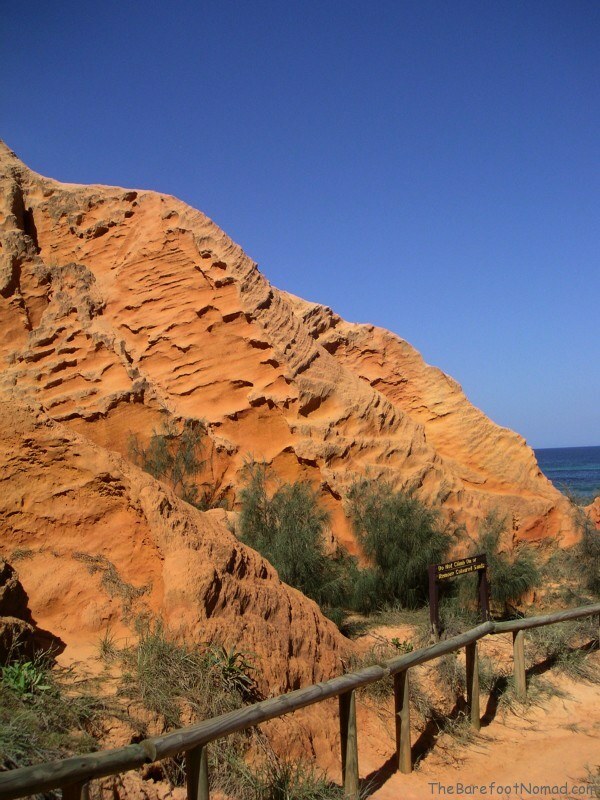 Drive by the towering sand cliffs of the Cathedrals, colored bright orange from years of erosion. 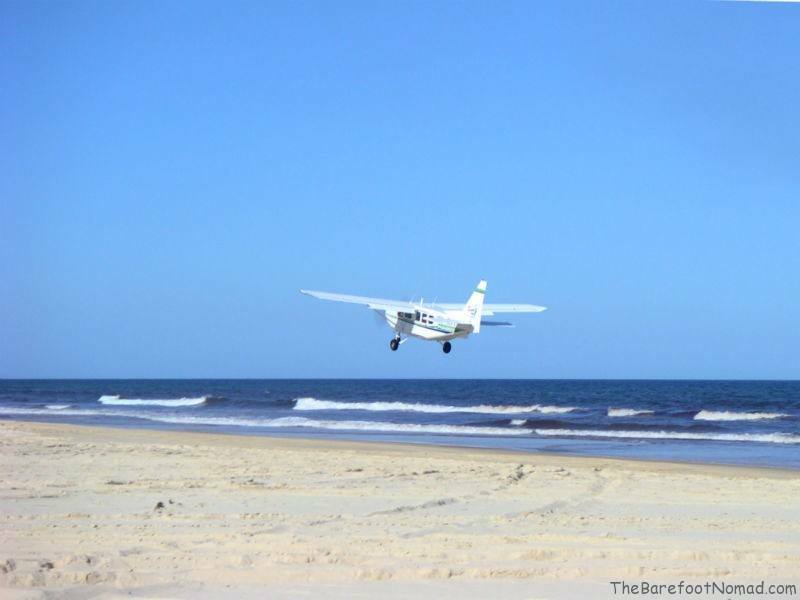 Watch planes land on the island’s only runway directly on 75 Mile Beach. Tour the island by 4×4 on hundreds of miles of sand tracks. You can take a guided tour, or rent a 4×4 and explore at your leisure. 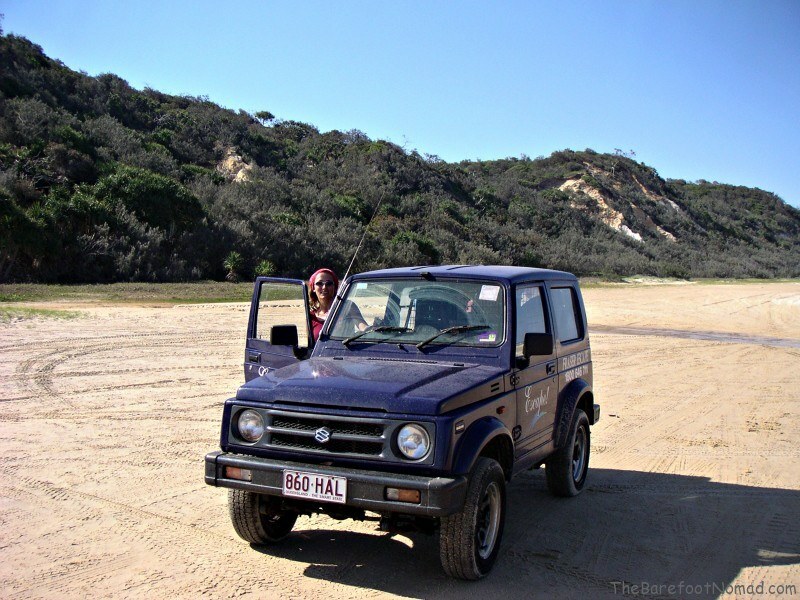 We spent three days touring Fraser Island in our rented little 4×4. You can visit rainforests and shifting sand dunes all in one place. How many places boast a tropical rainforest, with 100 year old trees up to 50 m tall, growing on sand dunes? The Island’s so unique that it’s been named a Unesco World Heritage site. Check out the 100 freshwater lakes, some the color of tea from tannins leached in from falling leaves, and some as clear as any Caribbean beach. Fraser has 40 of the world’s 80 perched lakes (lakes nestled among sand dunes above sea level). Fraser Island is also rich in Aboriginal history, with Aboriginal campsites at least 5,000 years old. The Butchulla are the indigenous people of Fraser Island (who named the island K’gari, meaning paradise). Float in Eli Creek, which pours 80 million liters of fresh water a day from the heart of the island into the ocean. The water comes from the world’s largest unconfined aquifer on a sand island. 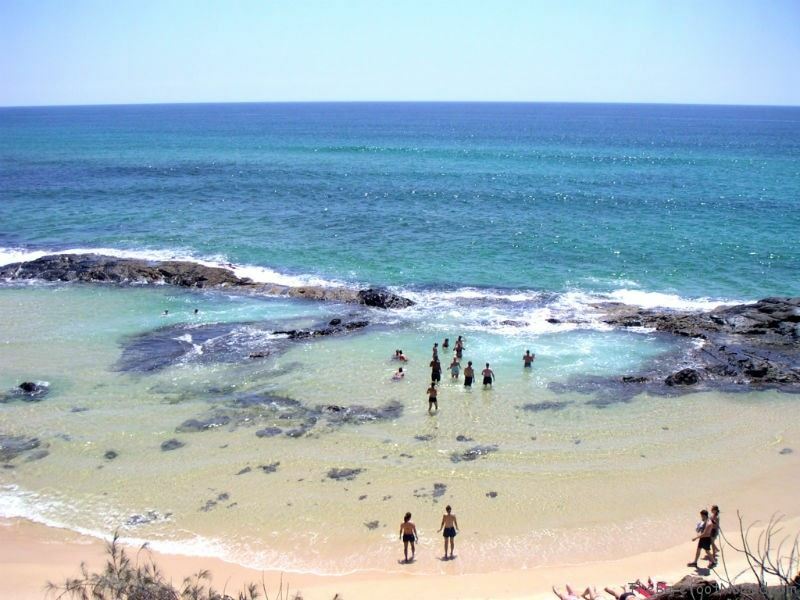 Tour the 250 km of sandy beaches, and take a dip in the Champagne pools at low tide. 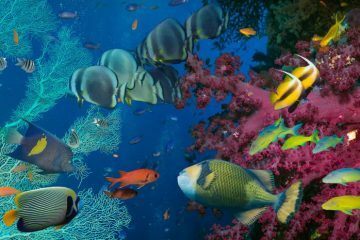 The ocean’s beautiful to look at, but filled with man-eating sharks and vicious undertows, so save your swimming for the lakes. Get up close with nature. Fraser Island is a great place to see migrating humpback whales (August to October), monitor lizards or freshwater turtles lying on the shore of Lake Allom. See over 300 species of birds, including the ground parrot, or search for kangaroos, wallabies and flying foxes. We loved watching turtles and sharks in the ocean below from beautiful panoramic Indian head. 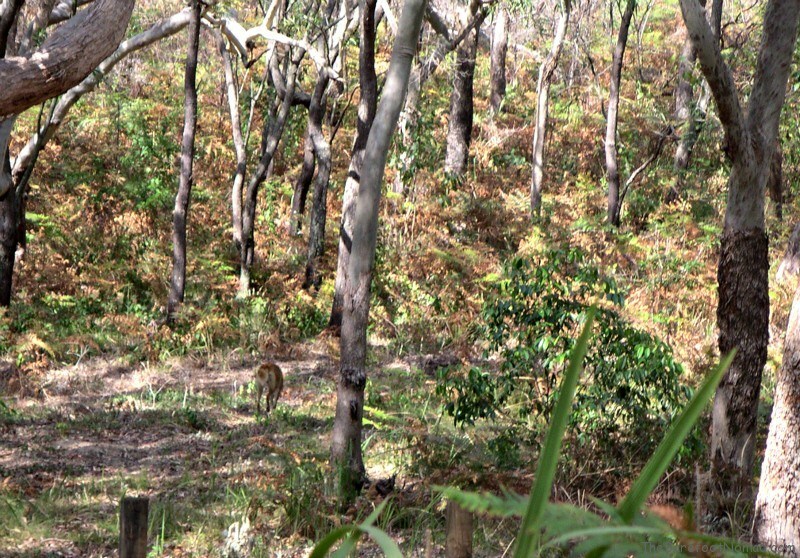 If you’re very lucky, you’ll see one of the island’s shy and elusive wild dingoes slinking through the forest. We got close to nature by tenting just off the beach or sleeping under the stars on the beach itself, but you can also sleep in luxury at the Kingfisher Bay eco resort. Where: Fraser Island, the longest sand island in the world, is about 300 kilometres north of Brisbane, on Australia’s East coast. How to Get there: The nearest airport is in Brisbane. You’ll need to take a ferry. Ferries run daily from Inskip Point at Rainbow Beach and River Heads at Hervey Bay. 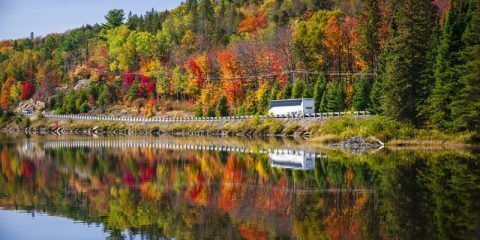 When to go: You can visit anytime, although April to October has the best temperatures. Fraser Island can get very busy during Australian school holidays. Getting around: You’ll need to either travel with a tour, or rent a 4×4 on your own to travel around the island. There are no paved roads on the island. All roads are sand tracks. 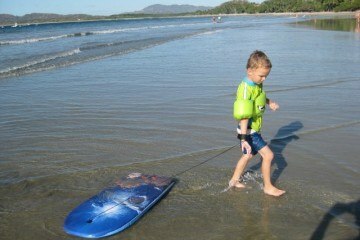 Most people sign up with a guided tour or rent a vehicle at Hervey Bay. How long: You could visit Fraser Island in a day, but two days is better, and three days is ideal to see all of the sites. Where to stay: Accommodation on Fraser Island ranges from the upscale Kingfisher Bay resort, to camping on the beach, to backpacker hostels and B&Bs. Safety: Fraser Island hosts wild dingoes, which can be dangerous, especially to children, people traveling solo and even small adults. Tragically, a child was killed by dingoes on Fraser Island and several attacks have been reported over the years. Read the Queensland Parks and Wildlife Service’s information sheet on dingo safety before going. Fraser’s beaches can also be exceptionally dangerous, as the waters surrounding the island are shark breeding grounds and there can be wicked undertows. Luckily, the lakes are great for swimming and there’s always the Champagne Pools to play in. 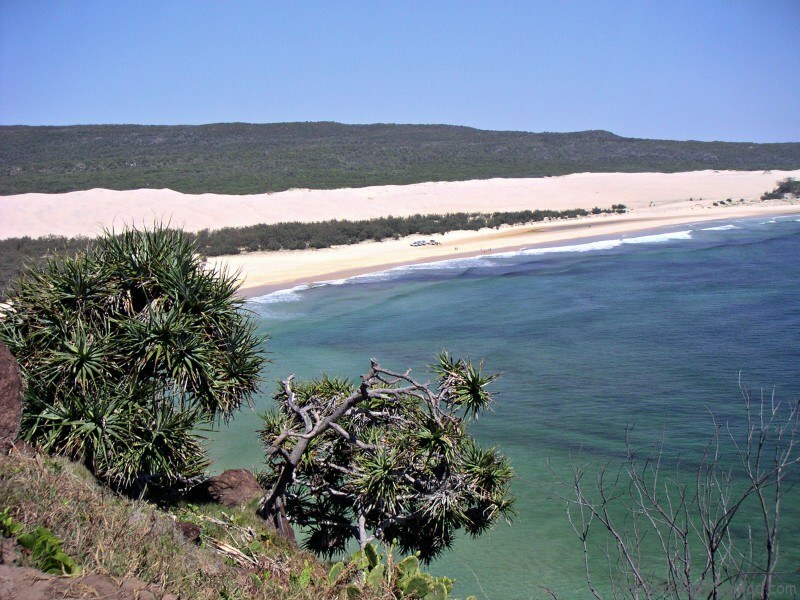 More information: The Queensland government’s website on Fraser island is packed full of useful information, including a detailed visitors’ guide with helpful maps. This post is part of our flashback series, where we brave jumping crocodiles, and cruise Australia’s Outback on the historic Oodnadata Track. 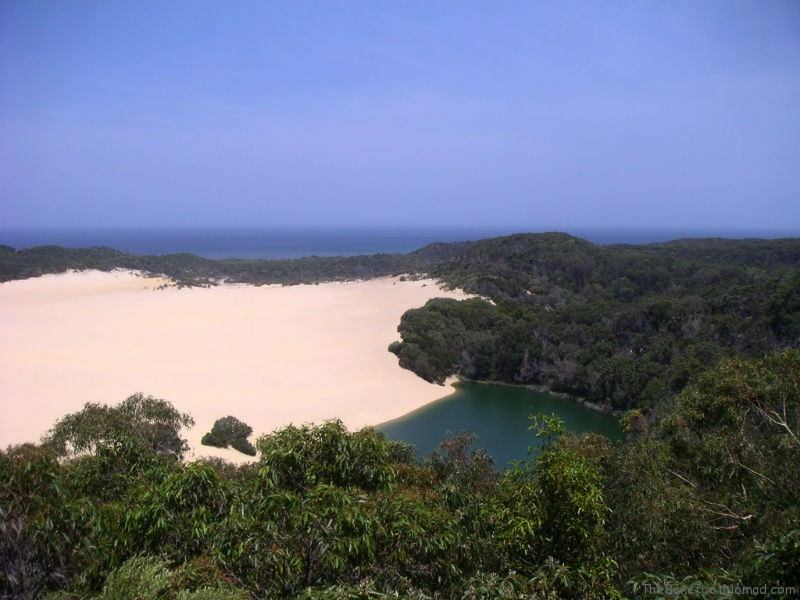 Fraser Island is great for camping, fishing, four wheel driving and bushwalking. There’s no roads, Fraser Island has some beautiful parts and driving along the beach is a great experience. I drove around the whole island, it’s beautiful. Peter, it is a gorgeous place, isn’t it? By far, the best part of our trip was being able to 4z4 all around the island on the sand tracks. 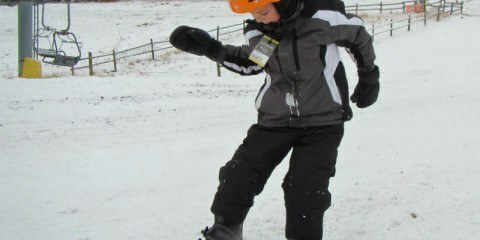 I wouldn’t say Fraser is a secret…. Lord Howe Island, now that’s a surprise in a half!! Miles from nowhere!!! We didn’t get a chance to visit Lord Howe – but I’d love to one day. The flight was a bit out of our budget for that trip, but I’m hoping the next time we visit Oz we get a chance to stop by. i so want to go – it looks amazing! That looks wonderful — so remote! I remember learning that htere are a lot of echidnas and wallabies on Fraser Island…reason enough for me to want to go there. 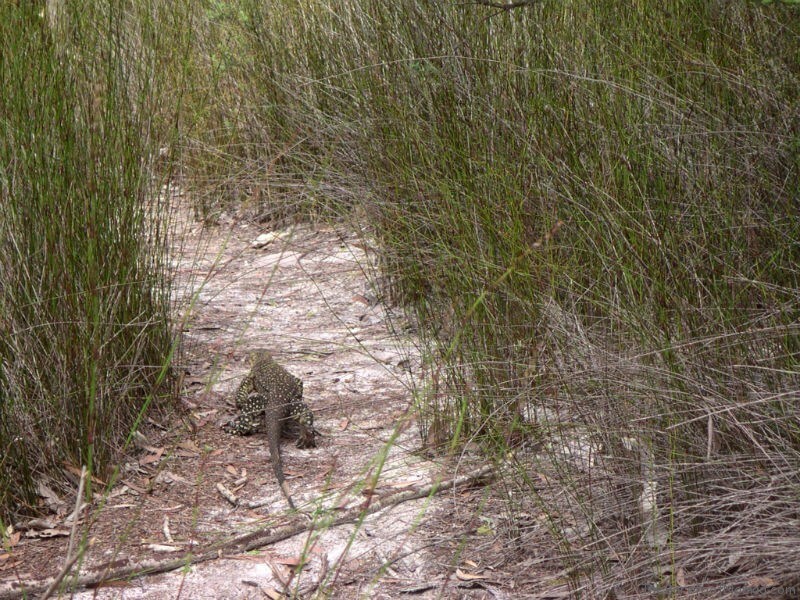 Jennifer, We saw a lot of Goanna lizards – coming from Canada, where there really aren’t any big lizards to speak of, we were quite impressed with how prehistoric and large they were! Fraser Island sounds like a primer on the real Australia: dingoes, dunes and no paved roads. Nice post!